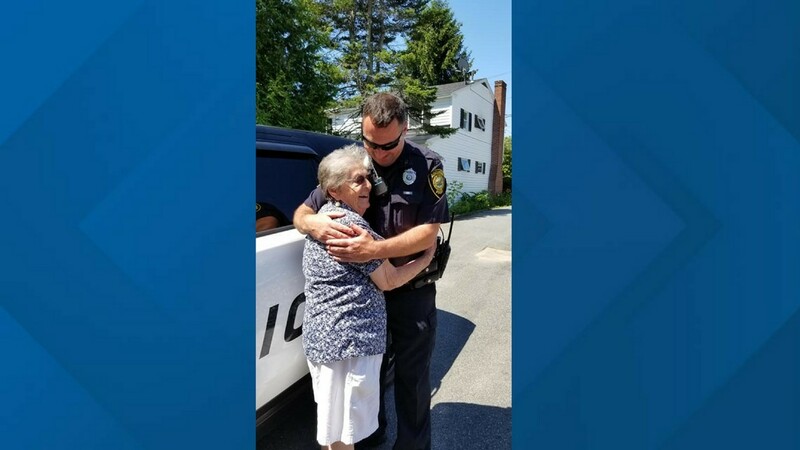 Simone thanks Officer Paul Doody, who she now refers to as "her cop"
Anne Dumont pre-arranged for the police to "gently arrest" her mother, Simone, who is a big fan of the TV show "Cops". Dumont, in a Facebook post, shared how her mother "goes on about how the police have the worst job and what they have to deal with." 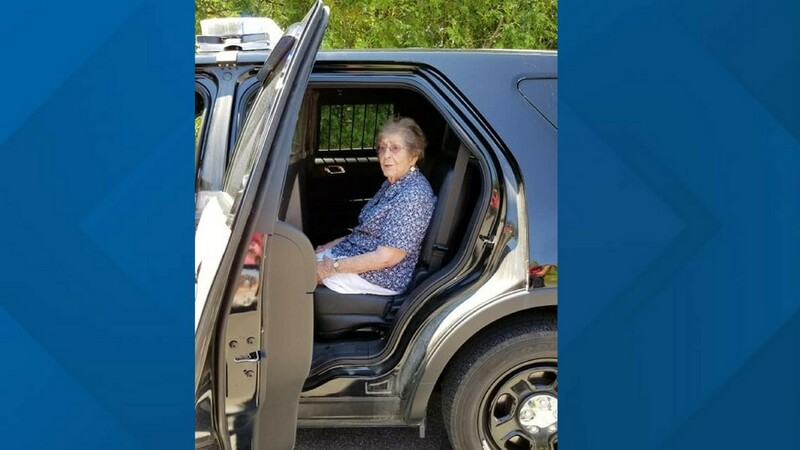 Dumont's mother often wondered what it would be like to be arrested and to sit in the back seat of a police cruiser. With the help of the Augusta Police Department, Simone finally found some answers. Simone will no longer have to wonder what it's like to be in the backseat of a police cruiser. Simone excited to be in the front seat of the police cruiser. 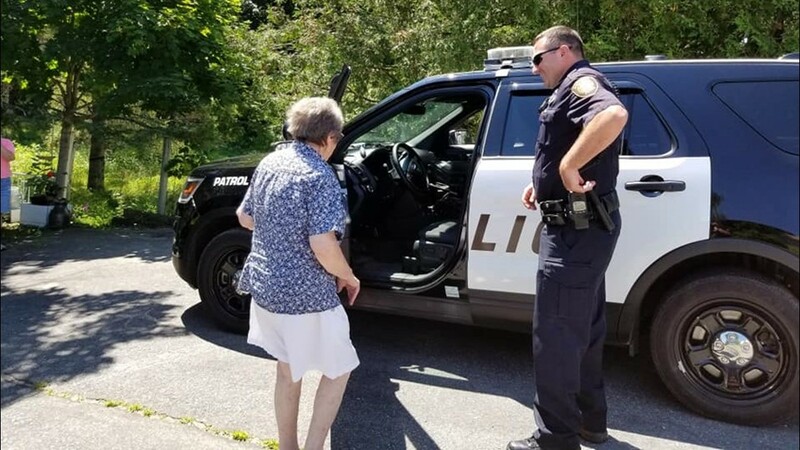 Auburn Police Officer Paul Doody gives Simone a tour of his police cruiser. 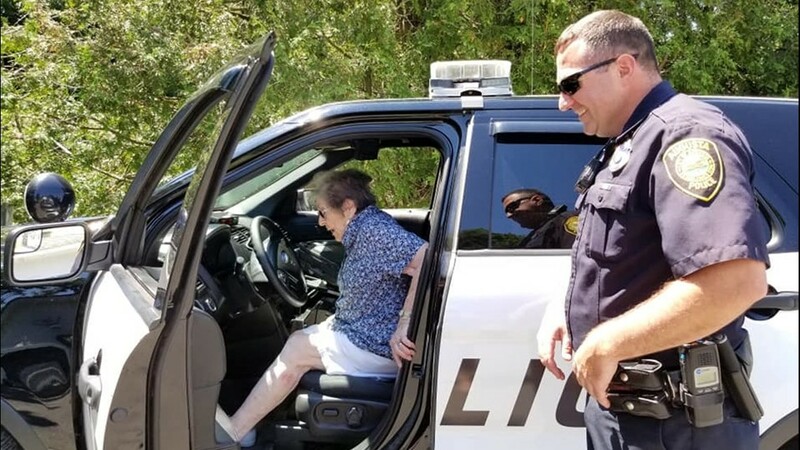 On July 9th, Simone's 93rd birthday, Officer Paul Doody gave her a tour of his police car. Not only did she get to sit in the front and back, she also got to press the siren, a highlight for the Augusta native. Simone thanked the officer saying, "you made my life". 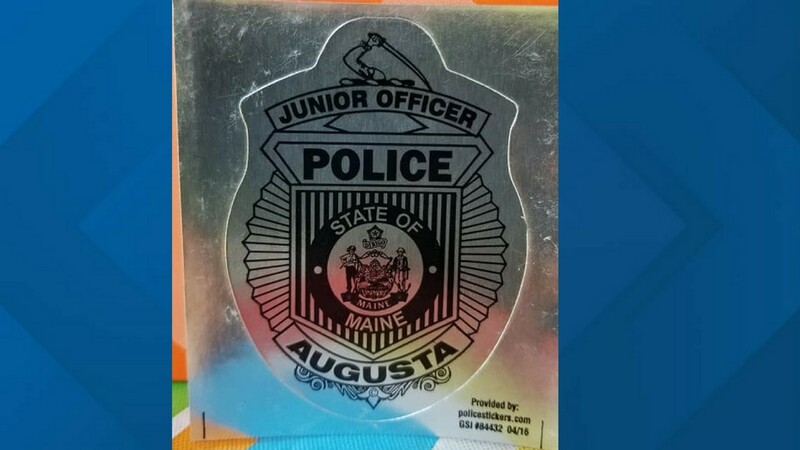 The Augusta Police Department said they were proud to be included in Simone's birthday celebration.